Isabella County Restoration House: Volunteering And Offering A Helping Hand | Grand Central Magazine | Your Campus. Your Story. Isabella County Restoration House (ICRH) is a rotating shelter that allows the guest to come in and build relationships with other guests and volunteers in the shelter. Jessie Black, a social work major from Connecticut, interns at the Isabella County Restoration House. In the past, Black was a volunteer for two years with ICRH, and now interns there for her major as well as her love for working with the homeless population. Black says this population is kind-hearted and hard-working, that they just need to catch a break and need a moment to get them back on their feet. In the video, Black is accompanied by Renee Benner, who is a guest of ICRH. 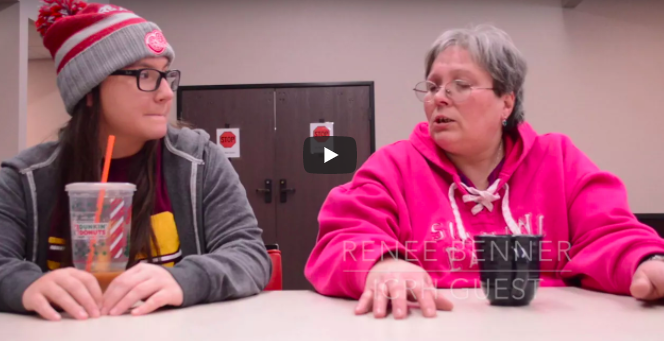 Benner tells us a bit of her story as well as what it is like to be homeless. Separator image Posted in Campus Life, College Living, Lifestyle, Student Lifestyle, Students and tagged with Bianca Jenkins, Homeless Shelter, ICRH, Jessie Black, volunteering.